Managing users and their access to IT resources can be a time consuming task. Today’s modern IT networks leverage a variety of platforms, providers, and locations. Connecting them all together into one coherent system and hosting the required infrastructure can be challenging and cost-prohibitive. That’s why organizations today are increasingly opting for an outsourced user management system. 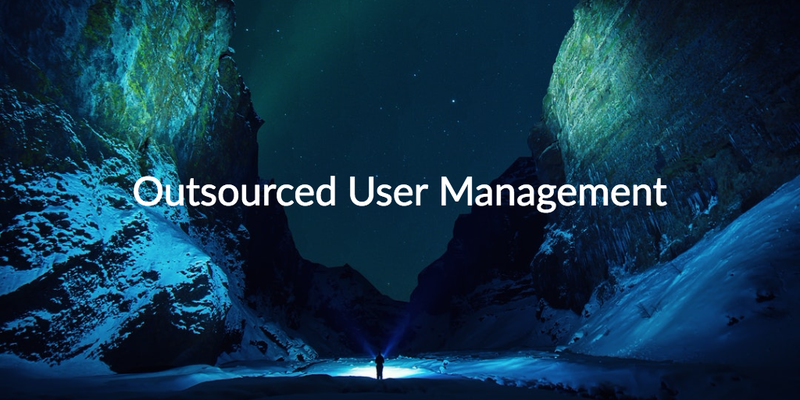 In order to understand the reasons behind this trend toward outsourcing user management, let’s begin by exploring user management’s history and the radical transformation that has taken place in the IT world. Most well-established IT organizations have leveraged Microsoft Active Directory® as an identity provider. AD came of age when the IT infrastructure was completely Windows based – both systems and applications – and users and their IT resources were all located on-prem. Of course, we know that the world doesn’t look like that anymore. Over the last ten years, IT environments have transformed. First, the Windows desktop operating system has lost about 20% of the market share worldwide. In the U.S., it’s even more with users leveraging a wider range of platforms including Mac and Linux systems. Next, web applications are more popular than ever. The web app industry is expected to be worth $46.8 billion in 2017, as solutions like Slack, Box, Github, and many others win over the enterprise. Also, cloud infrastructure providers such as AWS, Google Cloud Platform, and Azure are replacing the on-prem data center. In fact, AWS has seen a 42% growth in revenue over the past year. Finally, users are working from all over the world. According to this report from Gallup, 43% of employees work remotely. The IT networks of offices look a lot more like cafés than they do the fortified networks of old. The challenge with all of this change is that the traditional user management approach doesn’t work. Using AD as the core identity provider for a network only covers a small portion of the overall IT resources a user needs to access. IT admins are then forced to either manually connect users to the IT resources they need or to leverage a number of third party solutions that sit on top of AD. The problem with manual management is that it can create a huge time sink and doesn’t provide the best level of visibility or security. Onboarding and offboarding take forever, and when an employee leaves, you have no way of knowing for certain you disabled access to all company assets the user had access to. The issue with third party solutions is that they are expensive, create more platforms for IT to manage, and many of them are cumbersome pieces of technology. In a perfect world, the identity provider would be able to work on its own to provide IT with a secure environment. So, user management approaches need to adapt to the modern office. The good news is that there is a better way. By leveraging an outsourced user management platform, IT admins can offload the tremendous amount of work to run and maintain the identity management infrastructure. 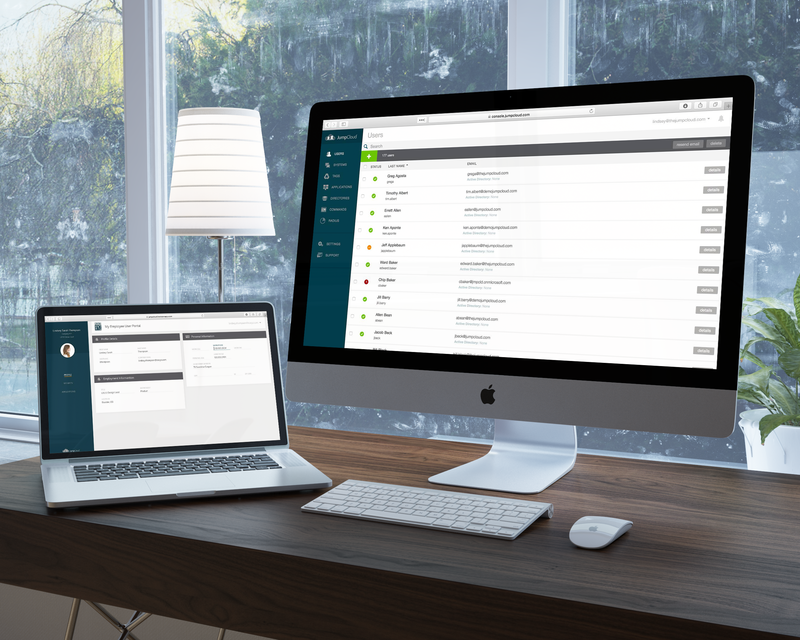 IT organizations can simply load their users into Directory-as-a-Service® and connect them to the IT resources they need, regardless of platform, protocol, provider, or location. IT can centrally and securely manage user access to wired and WiFi networks (RADIUS), physical and virtual files (Samba), web-based and on-prem applications (LDAP and SAML), and Mac, Linux, and Windows systems. Interested in trying outsourced user management? Consider watching this quick start video, and signing up for a free account. All of our features are available, and your first ten users are free forever. If you would like more information on our identity management solution, please drop us a note. We’d love to hear from you.